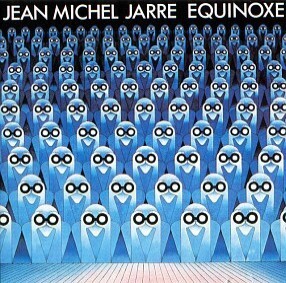 JEAN MICHEL JARRE, pioneer of Electronic Music, OXYGENE, EQUINOXE. This pioneer of Electronic Music, you should know. In the early 70s of the last century sounds came out of a French recording studio, which had not yet found their way into the ears of the masses. Electronic Music had been there for a while already, but this genre contented itself mainly experimentally, not commercially. Analogue synthesizers, sequencers and sound shapers determine the image that characterizes the typical soundscapes created by Jarre. In the albums Oxygene and Equinoxe - which today are still considered THE elektroacoustic masterpiece of the musician and whose electronic fantasies are directly linked to the name of the French - therein shines creative diversity. This refers to the musical field as much as on the pure technical experimentation. What sound generators can support a melody, which combinations of electronic noise, not derived from nature, form a specific mood, which permeates synthetic "bubbling" helpful to the harmonious process, where those sounds better describe the foreground... All of this can be found in music that reflects playfulness, but in a very ordered form. Too direct, too varied, too good and too wild for just being vile elevator music, but at the same time socially acceptable enough to enter the charts. In 1976, the triumph of popular Electronic Music from the pen of the Frenchman picked up speed. 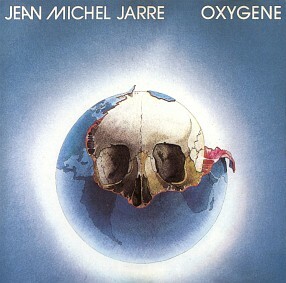 Oxygene was sold millions of copies over the following years, and the next album Equinoxe which appeared 2 years later in the same groove, sold millions too. 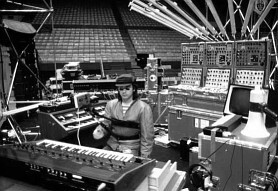 It was followed by Magnetic Fields, Concerts in China and Zoolook, which reflected Jarre's almost playful handling of the sound modules. Nevertheless it turned out clearly, the "old" style is changing. This is primarily a consequence of the development of the technology at that time. Sampling became a popular term then, a new challenge for Jean Michel Jarre. Once again his work was pioneering, not least thanks to his already undoubted popularity. If Sampling initially was just a tool in a very few sound laboratories, after Zoolook it became a must. Furthermore, the focus went away from musical "inventions" and creating new electronic music, and progressed to the production of huge live performances. Concerts with an audience of millions produced headlines, many guest musicians now share the stage with the Frenchman. The show life itself dominates the scene even today; such works like Oxygene and Equinoxe are therefore not expected to be seen again. In addition to the aforementioned classics, there were still lots of releases. So, like musicians usually do, Jarre made trips into very different areas of music. Representative of these are albums such as Sessions 2000, Geometry Of Love, Métamorphoses and Téo & Téa. It was Electronic Music still, but it seems somehow to be a "different" Jarre. Further albums show, they are primarily written for the stage, trying to impress with powerful images. For example, Revolutions and Chronologie. Far from the old works, of course they also have their meaning, reflecting the current Zeitgeist. They show how the face of Electronic Music changes also for Jean Michel Jarre as even he grows with the change, how he incorporates the technology of the respective years into his concepts. For more information, especially about a chronological listing of releases and about further biographical details, please follow this Wikipedia-link.